The University of Queensland has an opening PhD position in environmental sciences. The initial contract for this position is three years. Eligible candidates should submit the applications before December 04, 2018. The Advanced Water Management Centre (AWMC) is an internationally recognised centre of excellence in innovative water technology and management. The Centre has established an outstanding worldwide reputation in urban water management and related fields. An award-winning multidisciplinary team delivers practical technological solutions underpinned by fundamental scientific discoveries. The Centre has six interlinked programs, namely next generation urban water technologies, integrated urban water management, sewer corrosion and odour management, nexus of urban water, health and environment, resource efficient agri-industry and environmental biotechnology. Collaborative linkages with industry are strong. Solutions developed by the Centre have yielded quantifiable benefits in the order of hundreds of millions of dollars to the Australian water industry and other sectors. At the same time, the AWMC has an outstanding academic publication record, publishing on average over 100 papers a year in high quality journals including the most prestigious multidisciplinary journals including Nature and Science, and top discipline journals such as Water Research, Environmental Science & Technology and The ISME Journal. We are seeking a highly motivated candidate to undertake a PhD within the research area of anaerobic ammonium oxidation coupled to Fe(III) reduction. The successful candidate will train with state-of-the-art facilities at the AWMC laboratories under the guidance of a multidisciplinary advisory team led by Dr Philip Bond and Dr Shihu Hu, and bundling expertise in microbial physiology, bio-engineering, microbial ecology, and bioinformatics. The research team is exploring a microbial process that can couple anaerobic oxidation of ammonium to Fe(III) reduction and evaluating its importance in biogeochemical nitrogen and iron cycles. We encourage highly qualified candidates with a strong commitment to research and with a master or undergraduate degree in Microbiology (Hons), Chemical or Environmental Engineering, B. Biotech (Hons), or other suitable applied science master or undergraduate degree to submit their applications. Previous experience with bioreactor operation and/or bioinformatics would be an advantage. Award of the scholarship will be based on academic merit, research experience and potential. The research work is complemented by seminars, career-development training opportunities, and participation in national and international conferences. 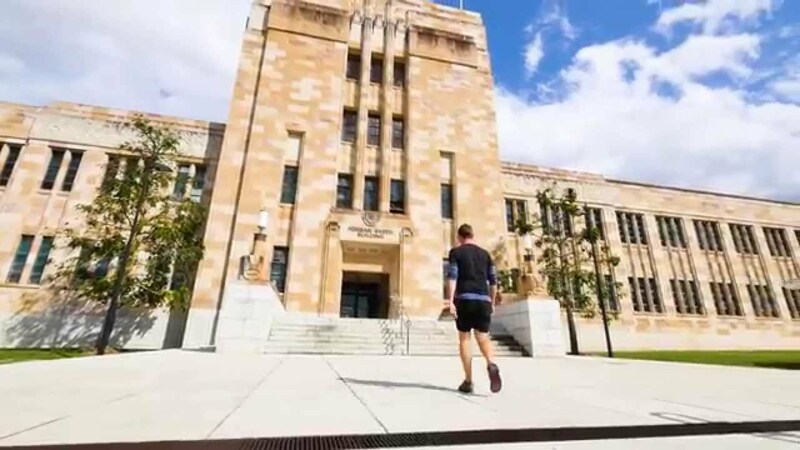 Applicants must fulfil the PhD admission criteria for The University of Queensland, including meeting English language requirements, and demonstrating excellent capacity and potential for research. Demonstrated research capacity (research outputs such as publications or conference presentations) will be highly regarded. For further information on entry requirements, please visit https://graduate-school.uq.edu.au/uq-research-degrees. Selected prospective international and domestic students will receive assistance to apply for University living allowance and tuition fee scholarships. The 2019 Research Training Program (RTP) living allowance stipend rate is AUD $27,596 per annum (indexed annually) for three years with two possible extensions of up to six months each in approved circumstances (conditions apply). For further information on scholarships refer to: https://graduate-school.uq.edu.au/scholarships. Prospective candidates are encouraged to contact Dr Philip Bond (phil. bond@awmc. uq. edu. au) or Dr Shihu Hu (s. hu@awmc. uq. edu. au) to further discuss this position. To submit an Expression of Interest (EOI) for consideration, please ensure you use the UQ Jobs online recruitment system by following the Apply button below. Important: EOIs not received via the UQ Jobs online system will not be considered. For information about entering the UQ PhD program and for the full terms and conditions, please visit the UQ Graduate School website at https://graduate-school.uq.edu.au/uq-research-degrees. Please note that at this stage of the process you do not need to complete the online application for admission form, potential applicants must apply through the submission of an EOI process.